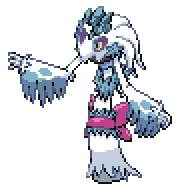 Froslass is a dual-type Ice/Ghost Pokémon. 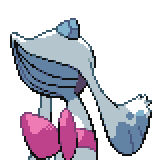 It evolves from a female Snorunt when exposed to a Dawn Stone. She is one of Snorunt's final forms, the other being Glalie. 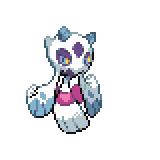 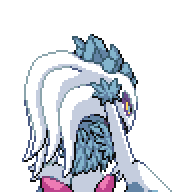 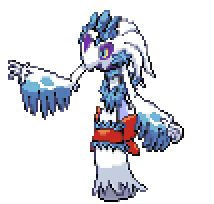 She can Mega Evolve into Mega Froslass using the Froslassite. 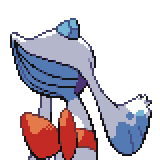 A level of "Start" indicates a move that will be known by a Froslass obtained at level 1.